Track what motivates your customers to act. 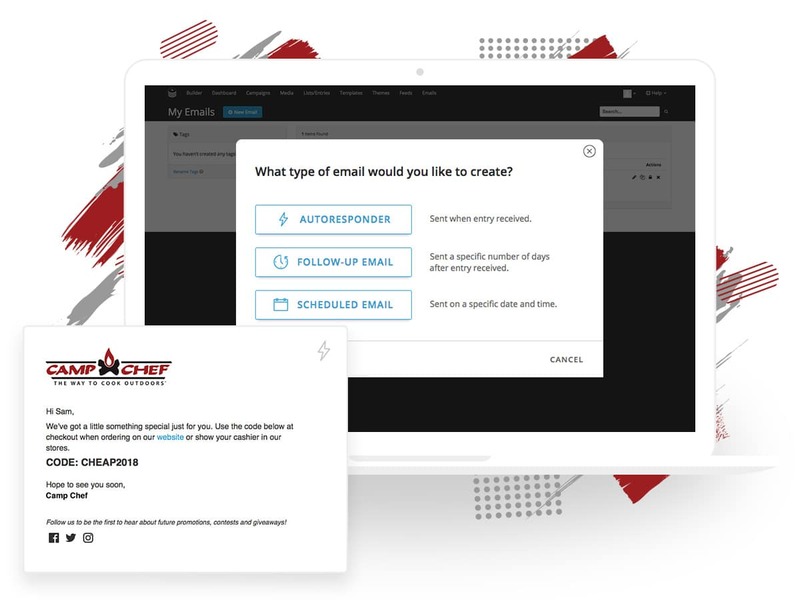 Use autoresponders and scheduled emails to connect with everyone who enters your contests and fills out your forms. The data you collect will help you fine-tune the kinds of campaigns you run and the offers you send. Set a date range to see how your emails performed during specific time periods. 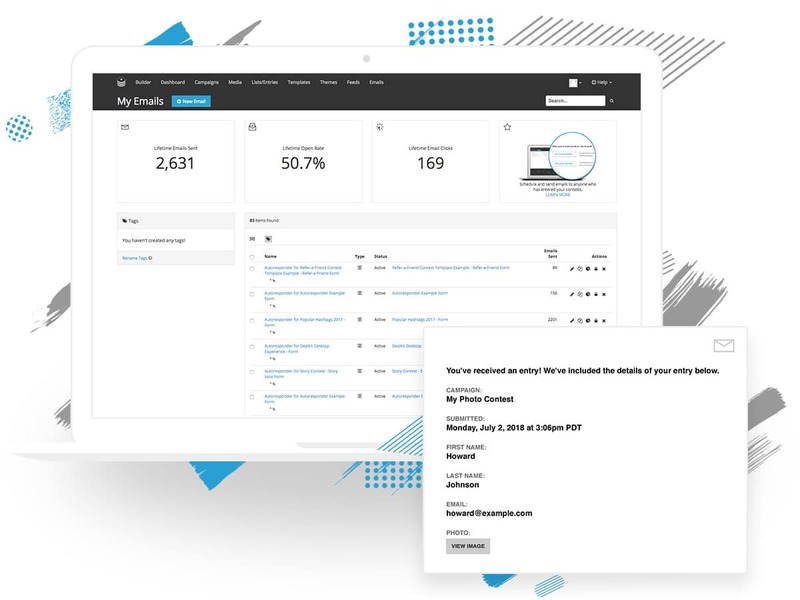 See a snapshot of email performance including number of email sent, open rate, clicks and unsubscribes. Keep tabs on how many emails you’re sending on a given day. This is especially valuable data if you’re sending autoresponders since you can track how many people submitted your form. Monitor your overall open rate and unique open rate – and take note of the subject lines that appeal to your customers so you can fine tune the contents of the emails you send. Track the number of times individual links are clicked within an email, and track the total number of clicks per email. Track the number of people who unsubscribe from your list so you can assess the content you’re sending and tailor it to appeal to your customers.